Spring is finally starting to show itself. It is about time! 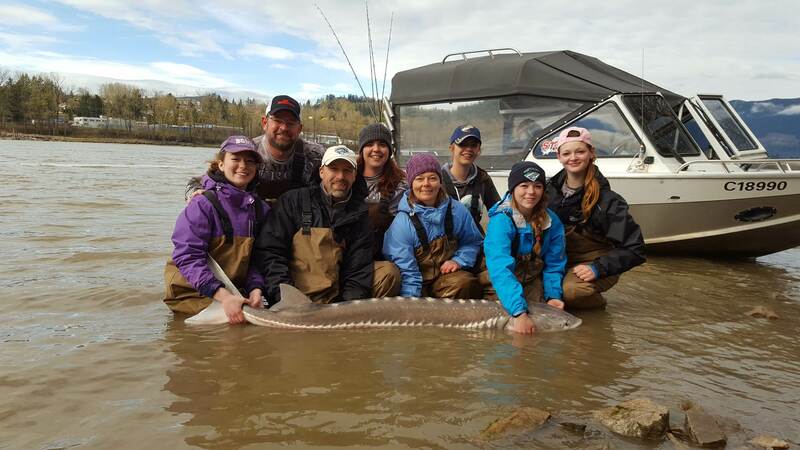 Our largest Sturgeon of 2017 measured over 10 feet in length with a few others over 9ft. This past week sturgeon fishing has been amazing, some of our boats are bringing in 15 -20 fish on an 8hr day trip which is great fishing by anyone standards. We are using lamprey, salmon eggs and Eulachans for bait fishing anywhere between Stave River and Agassiz Rosedale bridge. This great fishing should continue through April and last well into May. Once the water comes up we will still be catching fish daily, just need to work a little harder to find the fish. This is the time to book your Sturgeon fishing adventure! We have great dates still open for the end of April and some boats left most days right through until fall. If you are thinking of a fishing day trip or fishing holiday in 2017 now is the time to book and get your dates confirmed. Did you know you can adopt a Sturgeon? Well you can! Adoptions can be done on any of our Sturgeon charters through the Fraser River Sturgeon Conservation Society’s Adopt a Sturgeon Program. Visit their sitewww.frasersturgeon.com or call our office 1-877-796-3345 to learn more about this great program. 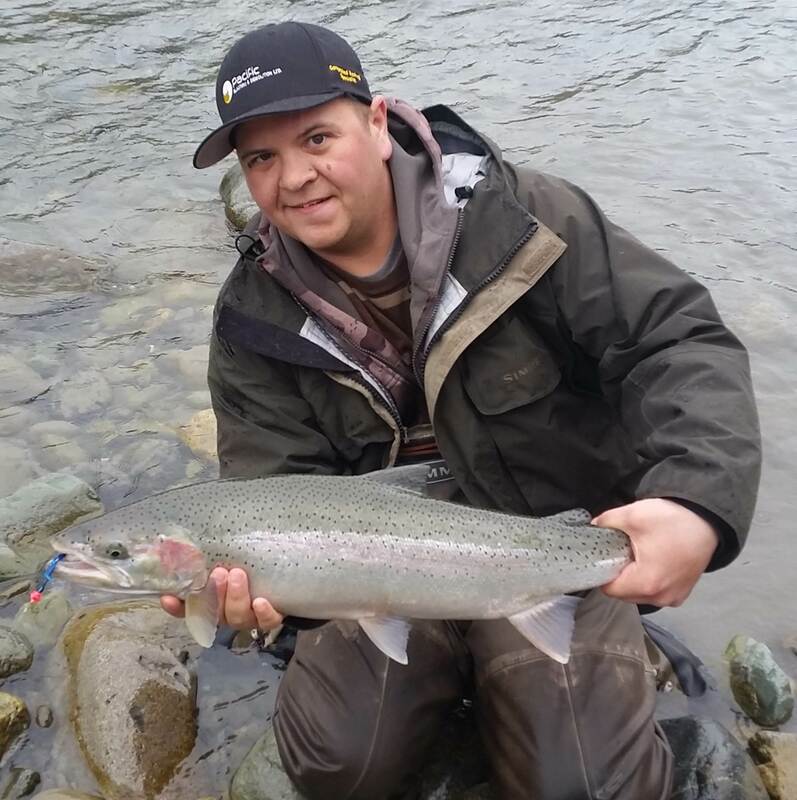 Generally, April is a good time to fish Steelhead as it is not as crowded and fish are aggressive with the warmer water. For those wanting to fly fish we have great opportunities for both Steelhead and for Trout on several local rivers. Water will rise and drop quite drastically over the next 4 weeks but fishing can still be good if water clarity remains consistent. Day trips are available for both gear and fly fishers. Our west coast salmon and halibut trips are almost full for the season, we still have 3 available dates in late June and first week of July. These trips are fully inclusive fishing out of our lodge in Quatsino Sound. Our 4 night 3 day trip consists of 4 nights at our beautiful lodge, all meals and 3 x 12 hours a day on the water. 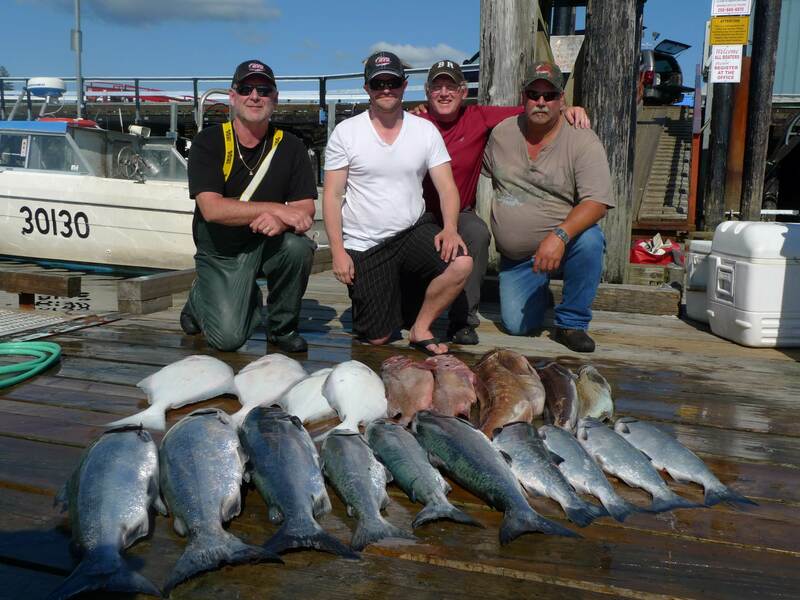 You will catch Chinook Salmon, Coho Salmon, Halibut, Snapper, Ling Cod and a few other species of bottom fish. If your looking to fill the freezer, this is the trip. The cost for 4 people sharing 2 rooms, 1 boat is only $2195 per person. Transportation to and from Coal Harbour is included. We will have some good salmon fishing opportunities in 2017 Summer Chinook should show up in better numbers in 2017. September looks strong as well as it is a Pink Salmon year! Millions of Pink Salmon enter the Fraser river and their aggressive nature makes them an amazing sport fish for family fun or for anglers learning how to flyfish for salmon. They are also like by big sturgeon so this is an amazing time to fish for both salmon and sturgeon, action can be insane. We are expecting a good run of fall salmon and as usual our best bar fishing for Coho, Chinook and Chum salmon will take place between Sept 15 to October 31. If your looking for that trip of a lifetime, this is the time when those dreams come true. Looking to try something different our “Hook, Line & Sink It” golf and fishing program combines a half day of incredible sturgeon fishing with 18 holes of breathtaking golf. We can accommodate 4 – 144 participants. Our package includes golf, shared power cart then a 6 hour guided fishing trip. For more details follow this link or contact us by phone or email. From all the staff at STS, have a great weekend. 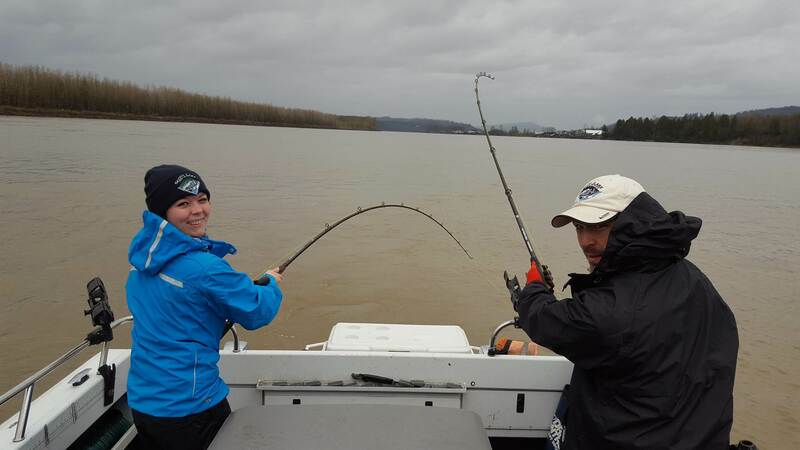 You are currently reading April 20 Fishing Report Update at Hells Gate Jet Boat Tours Blog.